I recieved this book for free in exchange for my honest review. I want to say thanks to the amazing publishing company for sending me this book, though I will say it does not affect my thoughts or my opinion in any way! My thoughts are my own and mine alone. To say I was excited to recieve this book for review is an understatement. I was jumping up and down excited. In recent years I have really loved books by these two fantastic authors and this book hasn't changed my mind one bit about this duo! 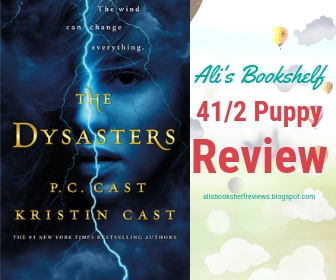 I want to thank the publishing company for letting me be part of this tour and for the chance to review The Dysasters. My first impression of this book was WOW, the cover is just breathtaking. I love everything about it, then I read the summary and it wowed me just as much. I knew it was something that I had to read and review here on the blog. I just couldn't wait to find out what happened to this cast of characters and I had to know what was going to happen. The plot of this book was one that I've seen a few times, but not exactly like this one. I loved the twists and turns, but I will say this at times it felt more of an middle grade than an young adult, but that didn't take away from the story for me. Once I got into the book, it didn't take long at all with all the craziness in the first few chapters, I couldn't put it down. I will say that the images/artwork in this book is one that I will never forget! I also really loved the bonds that these characters make throughout the whole story. Elemental powers has always been something that facinates me in books. So, reading this book I was on the edge of my seat to find out what was going to happen on each and every page. 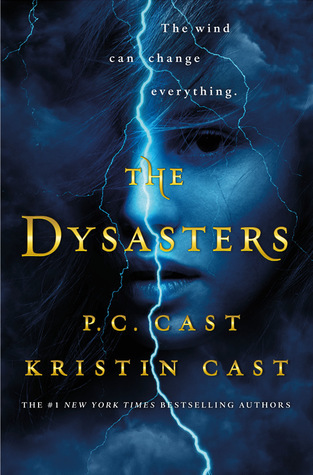 Now there are a few things that I didn't like in this book, I mean there is always a few things, but all in all The Dysasters was a fantastic read. One of which is how it switched every single chapter to another pov and it wasn't just between two characters it was several and after awhile it's kind of hard to keep up, but again not hard enough for me to hate the book or put it down. I was so drawn in by the characters themselves to do that. All in all, The Dyasters was a fantastic read that I would recommend to anyone that enjoys reading about elemental powers or kids with powers. It has a lot of adventure and battles in it as well. I mean what great book doesn't have good vs evil right?